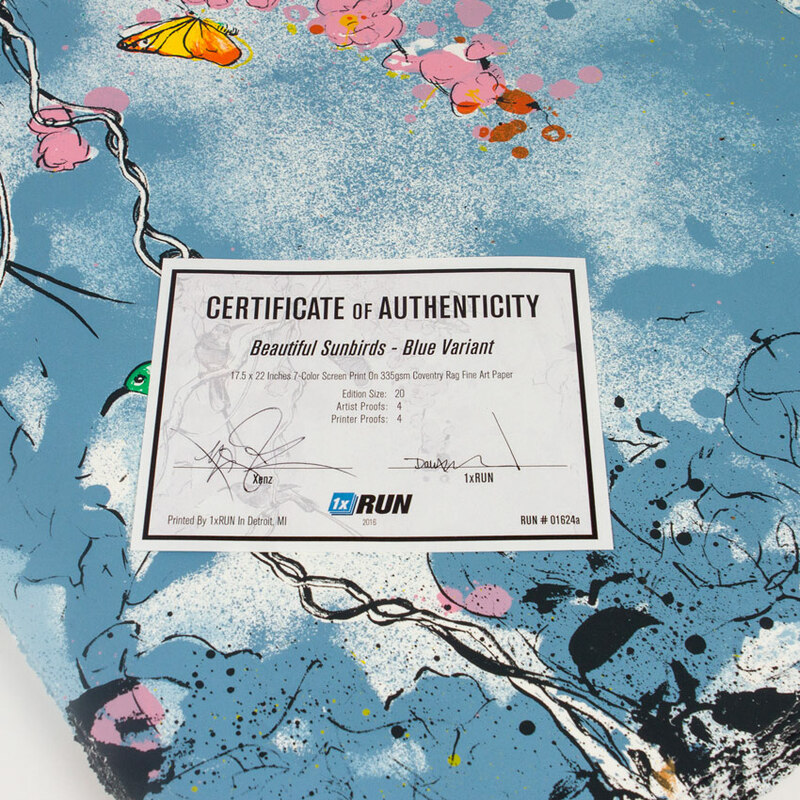 This RUN comes signed, numbered and with a Certificate of Authenticity from Jeremiah Britton and 1xRUN. Xenz is a British artist also known as Graeme Brusby. 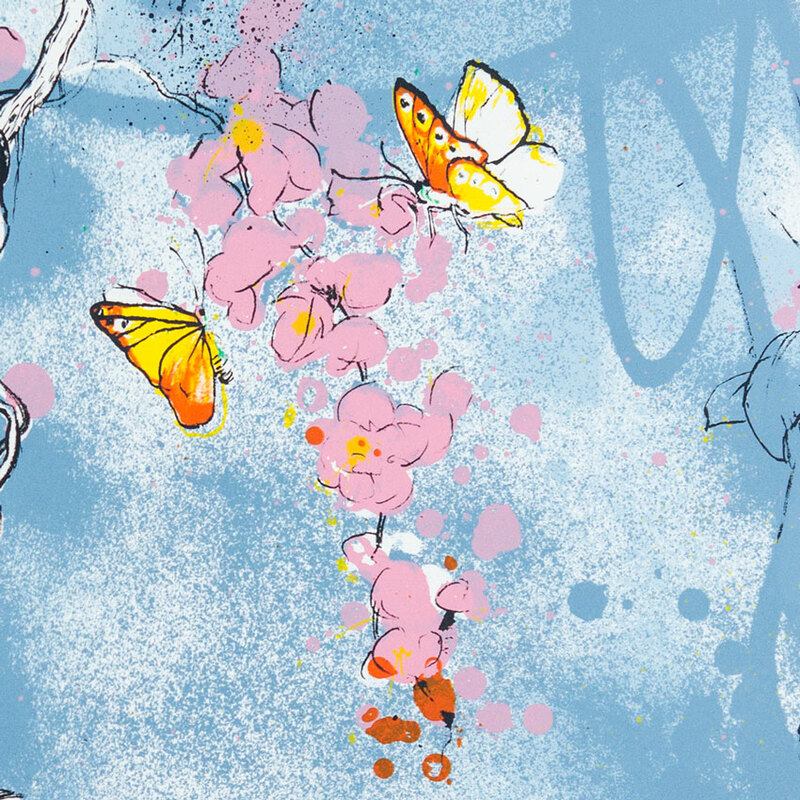 He began painting graffiti in 1987 in Hull, East Yorkshire. Over the past three decades he has developed a wide range of creative skills. The word graffiti no longer sufficiently describes what he does. After spending some time in Bristol in the 90s he set up his own studio in London where he currently works full time. He studied textile design and this decorative style is evident in his prints, his murals and his paintings. 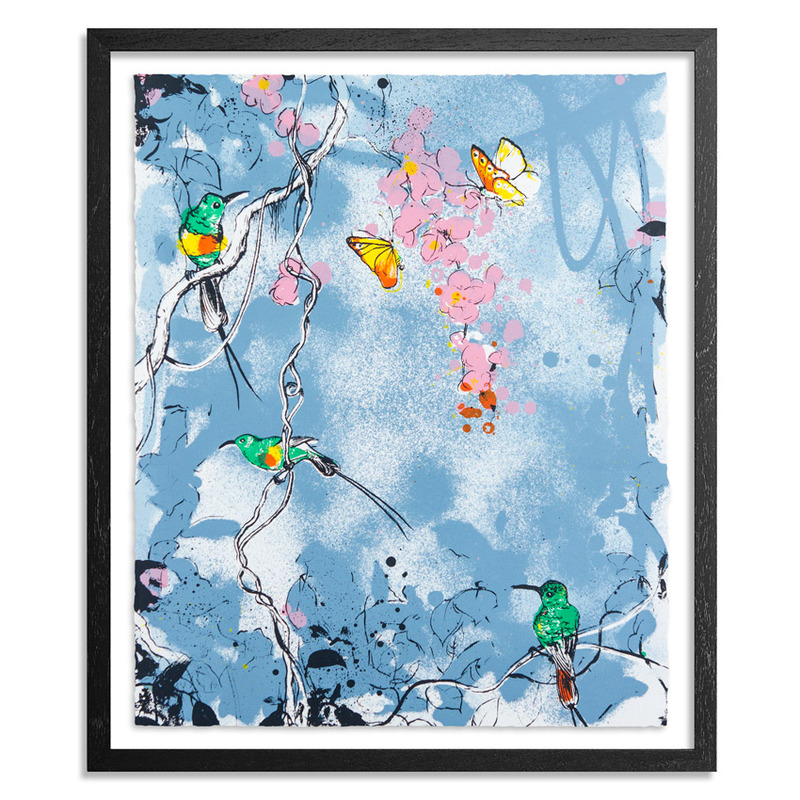 He draws inspiration from Asian art and the natural world. 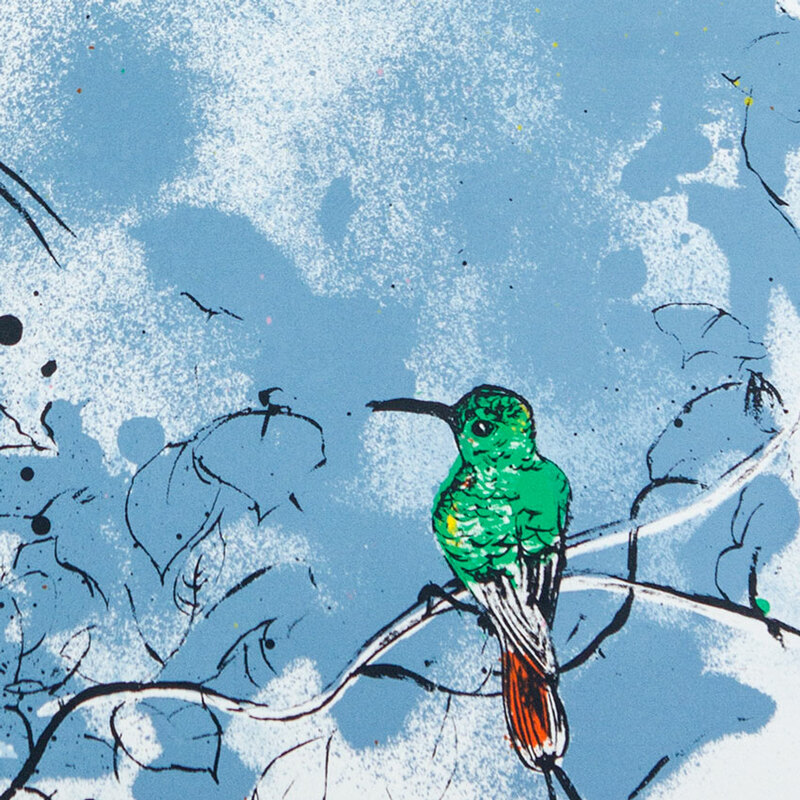 Birds, flowers and landscapes are what make his work unique. 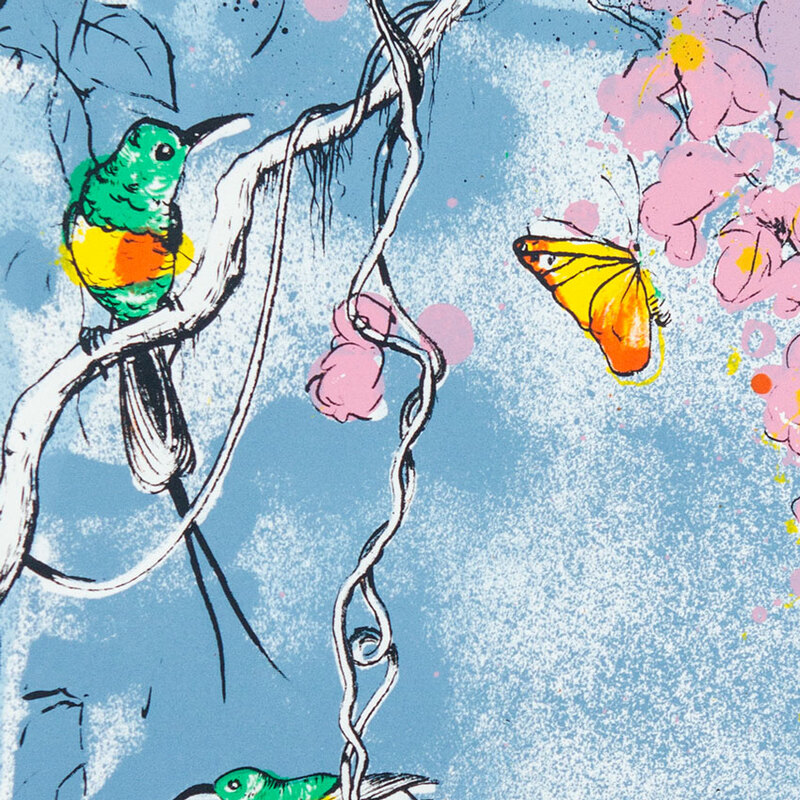 His prints are often collaborative works between the artist and the printer. 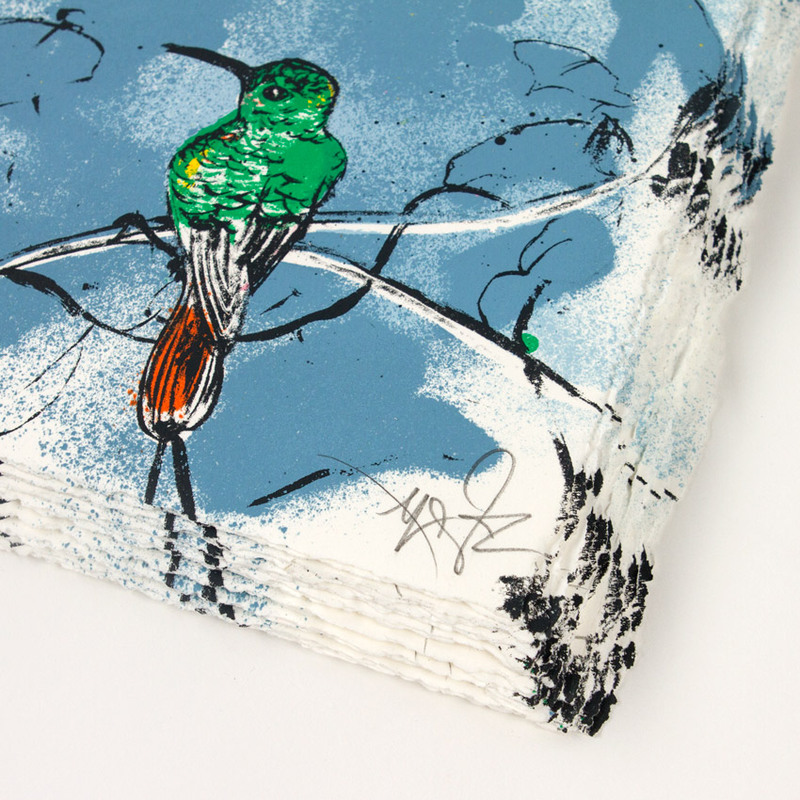 With every edition he evokes the visual impact of his original artworks. He prefers hand drawn layers where ever possible often using spray cans to create the textures and feelings seen in his murals and paintings. He has held many successful solo exhibitions of his studio work all over the world and has also accepted mural commissions for private and commercial clients. The BBC, Mal Maison hotel. Agent Provocateur and the British council are just a few of the companies to have benefited from his creative input.